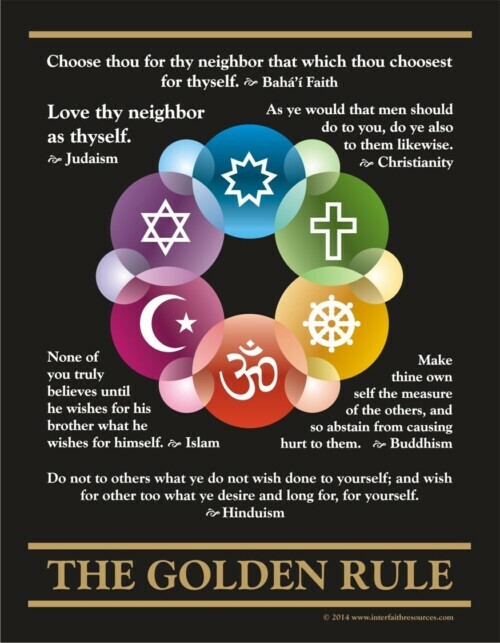 This letter-sized interfaith Golden Rule design includes a version of the Golden Rule as expressed in six of the world’s major religions – Judaism, Christianity, Islam, Hinduism, Buddhism and the Baha’i Faith – along with a colorful rainbow rosette of religious symbols on the front. 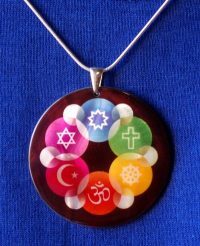 The back has an interfaith quiz of quotations that invites people to guess which quotation came from which religion. 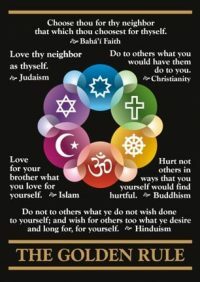 There are seven different topics, with 5-6 quotations each, from all the major religions’ holy scriptures. Variations of this image are available as postcards and satin wall hangings as well. 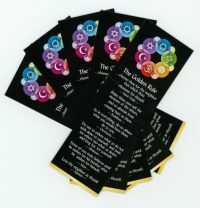 The back has an interfaith quiz of quotations that invites people to guess which quotation came from which religion. 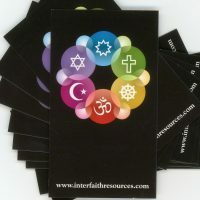 There are seven different topics, with 5-6 quotations each, from all the major religions’ holy scriptures. Seen side-by-side, they are almost impossible to tell apart! 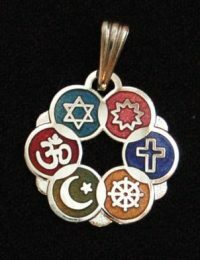 This is an easy way to demonstrate the unity of religions rather than trying to explain it. 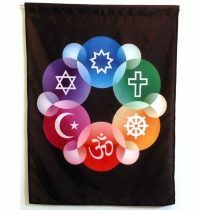 Educational for students of all ages, it is a good introductory activity for a religious studies class or an interfaith organization’s annual meeting. It also makes a great contest at fairs. 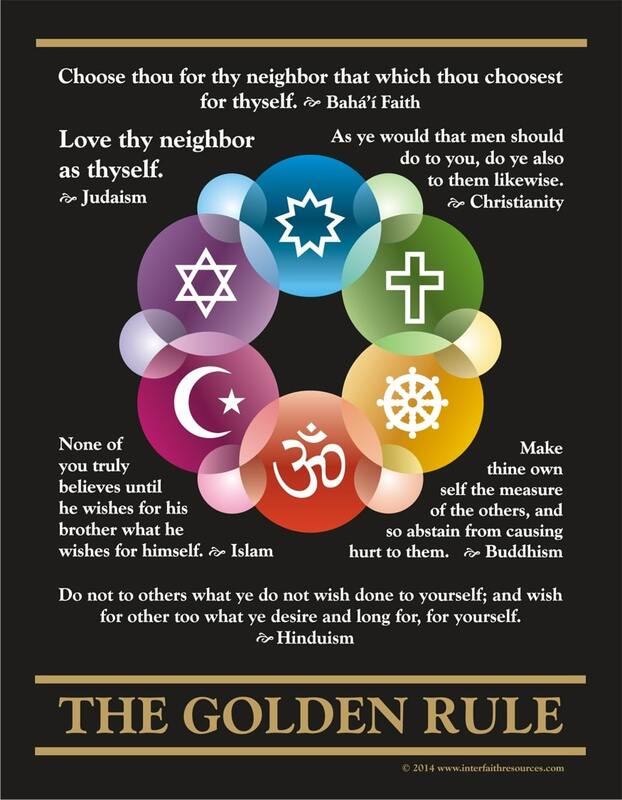 Anyone who can pick out four from the Bible, or identify any other two, wins something. The second image shows the quiz on the back.